Though there are many variants of the Digital SLR camera that is small and light, yet still compact cameras sought and needed. The teenagers, the elderly, women and those who do not want to be bothered with heavy cameras and large, will definitely choose a compact camera or pocket camera (point-to-shoot camera), which is easier to use for spontaneous shooting. Casio capture this opportunity well. 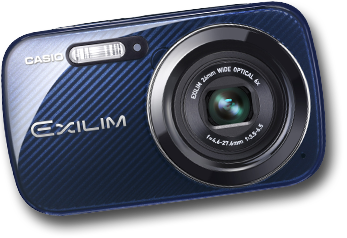 If you're looking for a compact digital camera, then you need to consider the Casio Exilim EX-N50 or the Casio Exilim EX-N5. 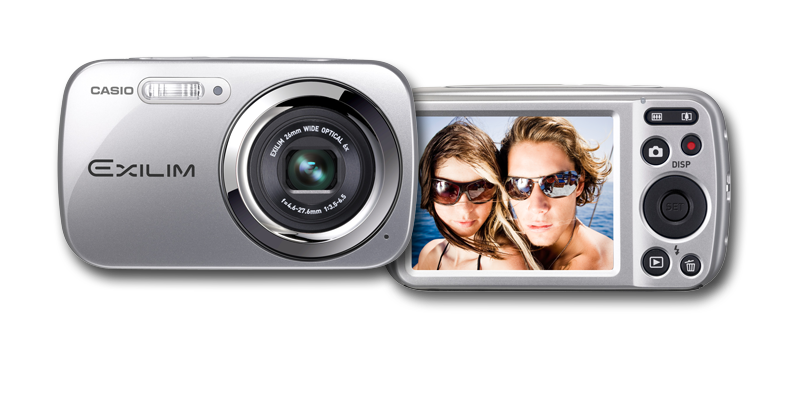 Casio Exilim EX-N5 and Casio Exilim EX-N50 comes in a tiny package rather round-shaped body. Both cameras rely on CCD type sensor that can be used to produce images up to a resolution of 16.1 megapixels. Both cameras use a wide lens 26mm-156mm. At the rear, you'll find a screen measuring 2.7-inch LCD. As with other compact cameras today, both cameras are also equipped with 8 Creative Art Shot feature. The creative features allow you to easily make creative photos directly on the camera without using a laptop or PC. The camera also features Casio's Premium Auto to help produce the best images automatically. Casio EX-N5 comes with a lens ring two-tone silver that look cool. And available to the body 4 a choice of black, silver, white and red. Casio EX-N50 while the body is present with a pattern of lines that are coated with a layer of shiny glossy. While Casio EX-N50 is only available in 3 colors, namely silver blue, and red. This camera is perfect to accompany you to photograph everyday events like a meeting with friends, business associates or family in cafes, hotels, seminars and other casual events.Both Casio digital camera has a presence in the European market. If you live outside of Europe, then you have to wait patiently. Perhaps you could consider buying a pocket camera from Sony, Canon or Olympus. iPhone 6 has been released. Are you tempted?